Hot water is a major requirement on a daily basis as it is used for space heating, bathing and also cooking among other things. Therefore, Water Heater Repair in Chandler, AZ is a profession that cannot be ignored in our lives. There is nothing more annoying than finding out that your water heater is faulty when you urgently need it. In most cases, water heater problems are stoppable through repairs. It is always very easy to have your heater in good condition through regular maintenance other than waiting until that time when the whole system becomes obsolete to demand for a new installation. There are a number of signs that can help you avoid getting into such situation; when there is an odor in your water or it looks rusty, when you see leakage from the base of your water heater and when you hear whining, rumbling or popping noises. No breakdown: Water Heater Repair in Chandler, AZ prevents likely unforeseen breakdown thus no unplanned replacement. Regular repair helps to discover possible corrosion, leakages and anything that could be preventing your water heater from working 100% effectively. Efficiency: Another great importance is increased efficiency and saving time. Unrepaired water heaters are likely to have sediment buildup which is a common problem in many homesteads. This increases the time taken to heater water thus more power is used to heat little amount of water. Consequently, electricity bills will be high. No Surprises: Regular repairs also prevent surprises of waking up to cold water. Nobody enjoys cold shower or finding a flooded house as a result of leaking water heaters. To avoid these, ensure regular repairs are done at least once in a year. 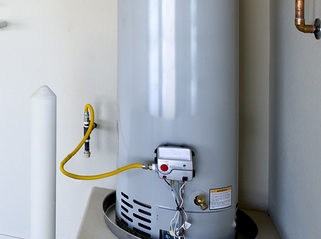 Call our Water Heater Repair in Chandler, AZ today if you need any help.